William Wilberforce, born August 24, 1759, was the only son of Robert and Elizabeth Wilberforce of Hull, England. He was a delicate child, not very strong physically. From early childhood he showed compassion for others. His grandfather was a merchant who imported hemp,* timber, and iron ore and exported many products from Yorkshire. William had three sisters, but one died at age 8 and another at age 14. Only Sarah lived to be an adult. When William was only 9 years old his father died and he was sent to live with his aunt and uncle, Hannah and William Wilberforce at Wimbledon. He was placed in a private school where he remained for two years. He received early religious training while living with them. The evangelist John Newton was a good friend of the family. He visited in their home and William and his aunt and uncle also visited in the Newton home. He was a former slave-ship captain, but he forsook the trade and spent the rest of his life working to free the slaves and prevent further enslavement. Newton would conduct "parlor* preaching" in his home for his family and guests. William's mother was a socialite who enjoyed going to parties and the theater. William had been sent to Wimbledon when she became ill. When she was better she sent for him to come home. She was a member of the Church of England and became alarmed at the influence of these "Evangelical* Methodists" on her son. She had other goals for him. She didn't want him to continue having contact with his aunt and uncle and the people he had met while staying with them. However, he continued to write to them without his mother's consent. When he was nearly through college his grandfather and his cousin interested him in Parliament. William Pitt was the main impetus for his decision to enter politics. The family fortune made it possible for him to embark on such a career, and the associations he had made in college were helpful to him politically. 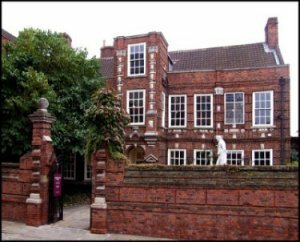 He campaigned in his hometown of Hull and received nearly every vote. He was only 21 years old when he was elected to Parliament* for Kingston upon Hull. Three years later he was reelected as a Member of Parliament for Yorkshire. Wilberforce and Pitt remained friends even when William, to satisfy his conscience,* had to vote against his friend. 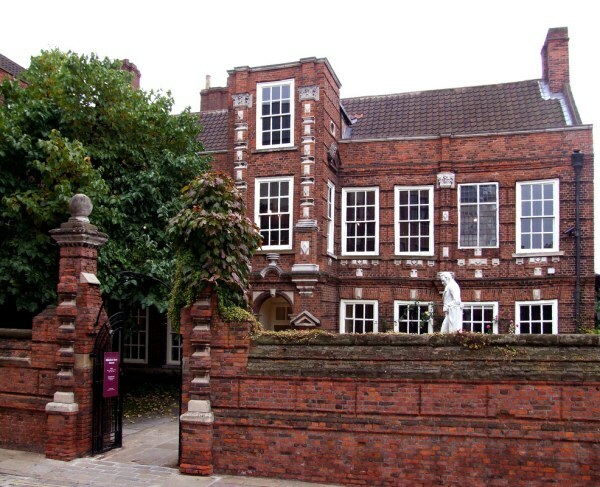 A turning point in his life came when he made a tour of Europe with Isaac Milner, the younger brother of Joseph Milner who had been the headmaster of the grammar school he attended. They had long talks as they traveled together. William was convinced to devote his life to Jesus Christ and to the cause of the abolition* of slavery in the British colonies. He began to read the Bible and underwent a spiritual conversion. He regretted the way he had lived his life as a young man. He felt that he had wasted those college years by putting his main focus on partying and playing cards. He determined he would use his public office to bring about social change, mainly the freeing of the slaves. When William was 37 years old he met Barbara Spooner, a 20 year old woman and fell in love with her. They had the same ideals and shared a common faith. They married after a very short courtship and within 10 years had 6 children. William was devoted to his wife and children. In the 44 years he served in Parliament he never lost an election, but the cause he espoused,* the abolition of the slave trade, was defeated 11 times before the Slave Trade Act finally passed in 1807. He had worked 20 years and had used his position in Parliament to bring about this change. The first victory the abolitionists had was the abolishment of the slave trade, but this did not make slavery unlawful. It made the shipment of slaves unlawful. This reduced the number of people continuing to be enslaved by about 75%. The bill passed by 283 votes for and 16 votes against. It would take another 26 years before slavery was abolished in the British Empire. 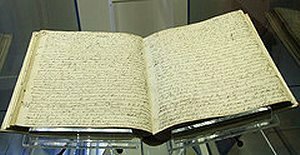 In 1833 Wilberforce learned the bill had been passed only days before he died. Ten years later slavery was abolished in India, and in the United States the 13th Amendment freeing the slaves was enacted December 18, 1865. 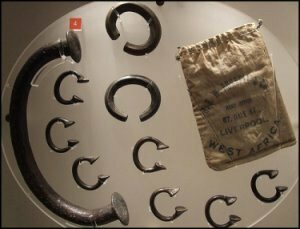 These iron quoits, as seen in the picture were made for the purpose of bartering them for slaves on the African coast. Quoits are used in a game similar to the game of pitching horseshoes. Such artifacts can be seen at the Wilberforce House Museum. 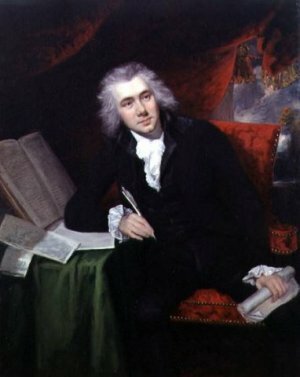 William Wilberforce also worked for justice in other areas such as prison reform, workers' rights, prevention of cruelty to animals, and education. We learn much about him from journals he kept and letters he wrote to people. In 2007 a film Amazing Grace was produced. That year marked 200 years since the bill of 1807 had been passed. 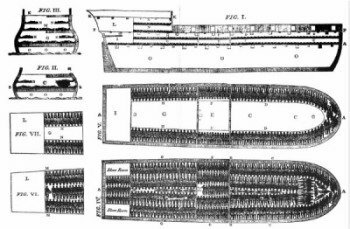 After the Slave Trade Act was passed, thousands of slaves were rescued from ships where they had been imprisoned. The movie tells of the life and effort of William Wilberforce and other notables who were instrumental in abolishing slavery. Even though laws have been passed outlawing slavery, it still exists in some parts of the world today. Children are kidnapped by slave traders or, in some cases, sold by their poverty-stricken parents for as little as $15. Some enslaved children work long hours without benefit of schooling or basic necessities of life. Christian Solidarity International is an example of an organization which buys back some of the children and frees them from their owners. Press "Go" to search for books about William Wilberforce. This page displayed 55,476 times.